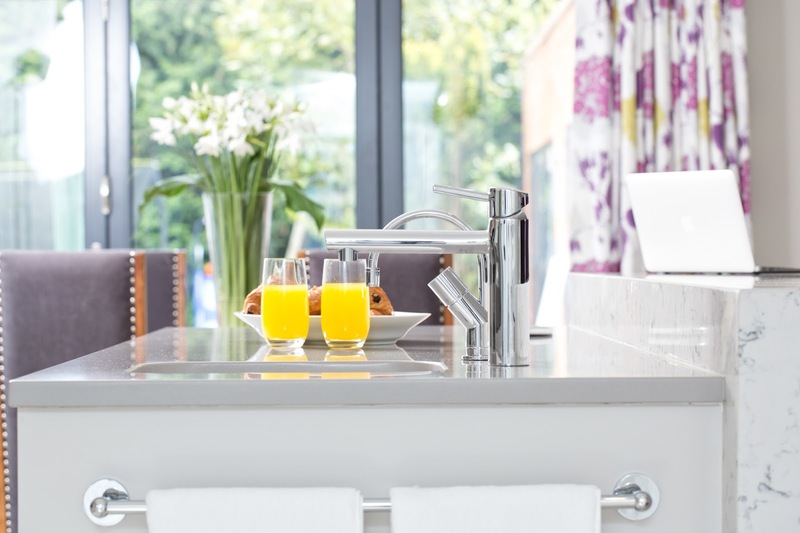 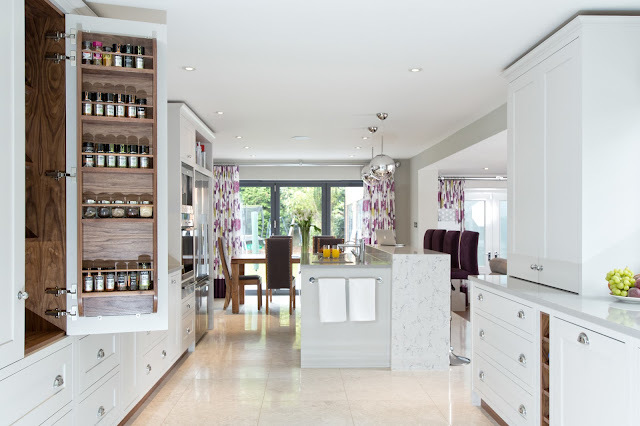 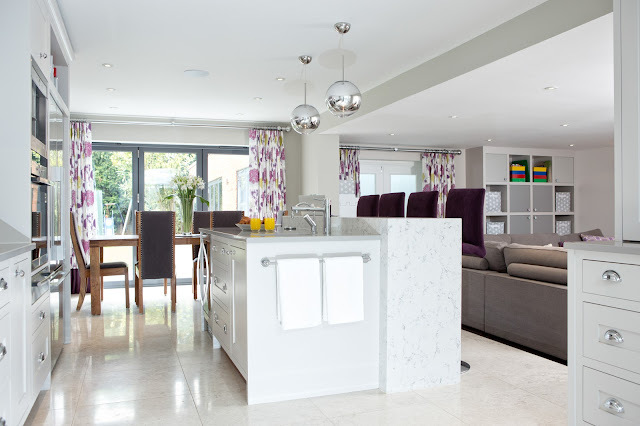 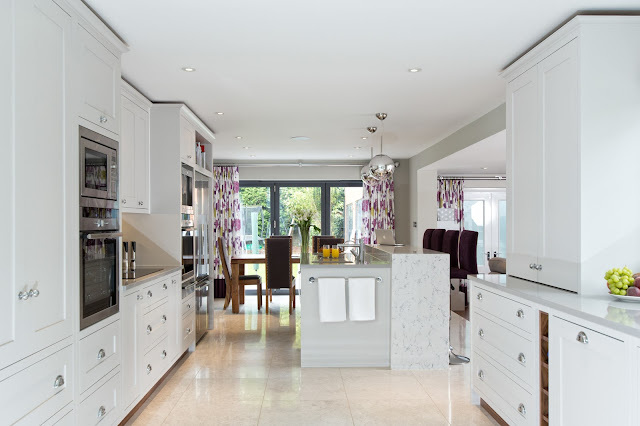 Here are the kitchen photos from our Sunningdale shoot. 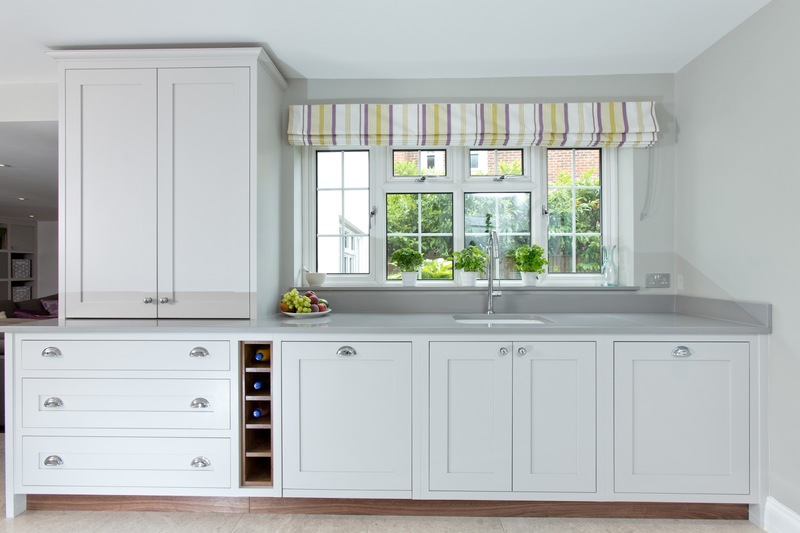 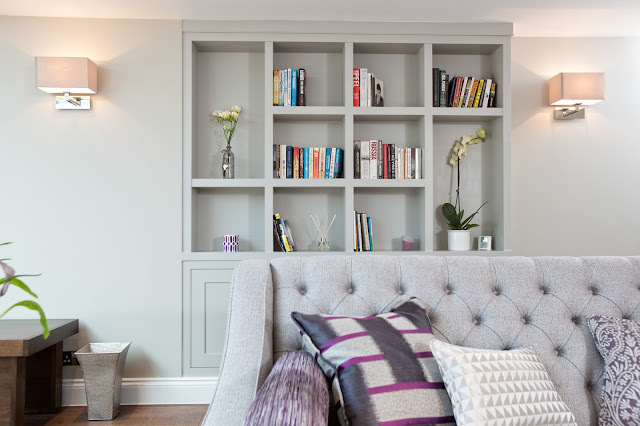 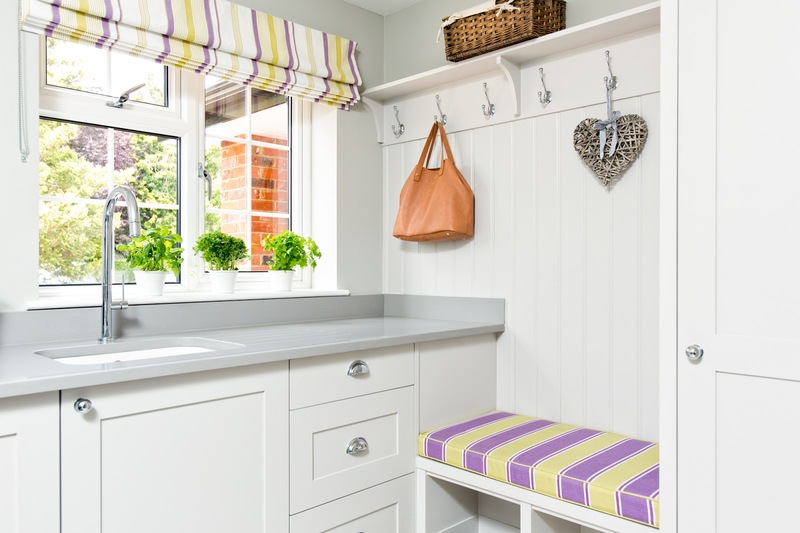 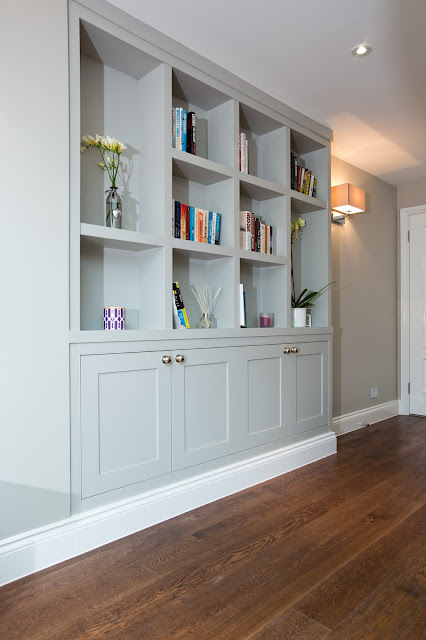 The shaker cabinetry is painted in Farrow & Ball Cornforth White. 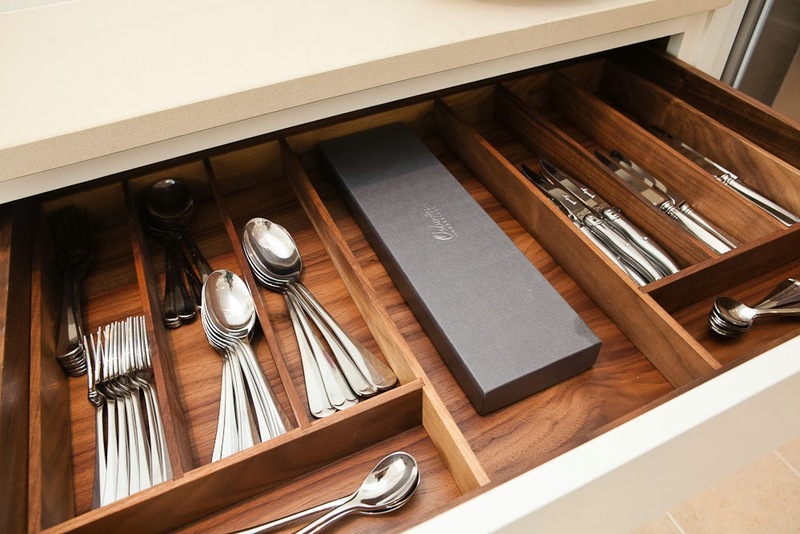 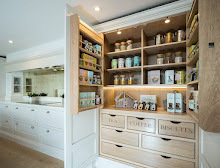 Interior veneered walnut units with solid walnut larder racks and cutlery trays. 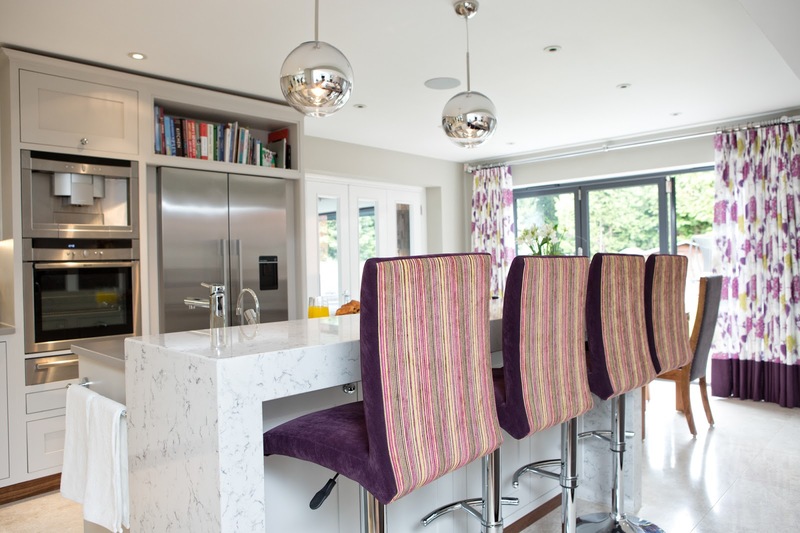 Build up Silestone Lyra breakfast bar and Silestone Kensho worktops. 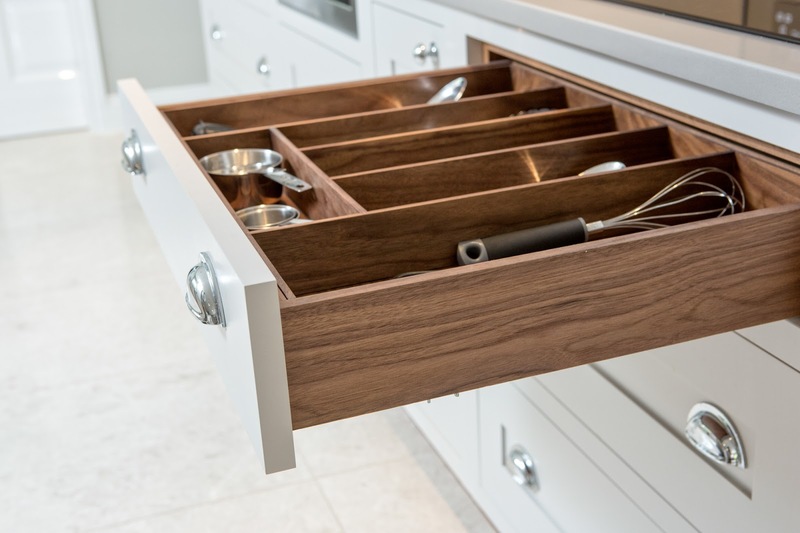 Worktop mounted dresser with internal lighting automatically activated when doors open. 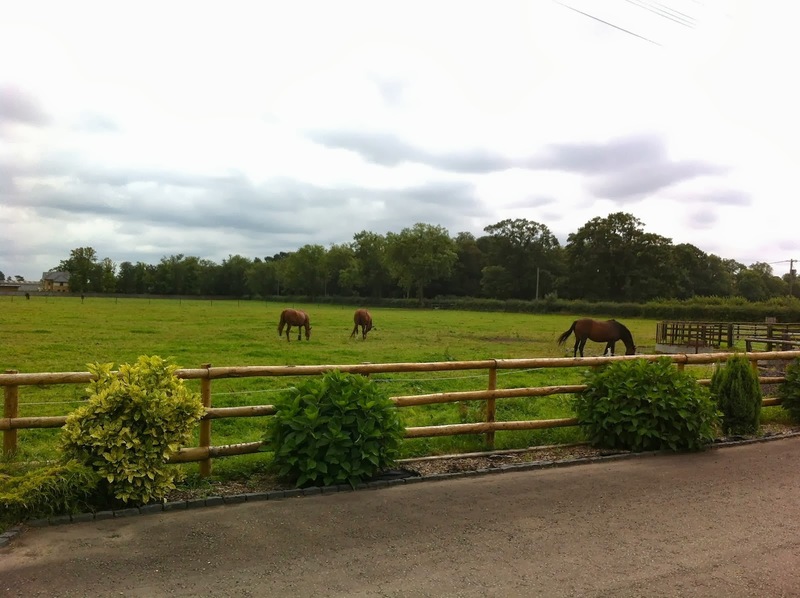 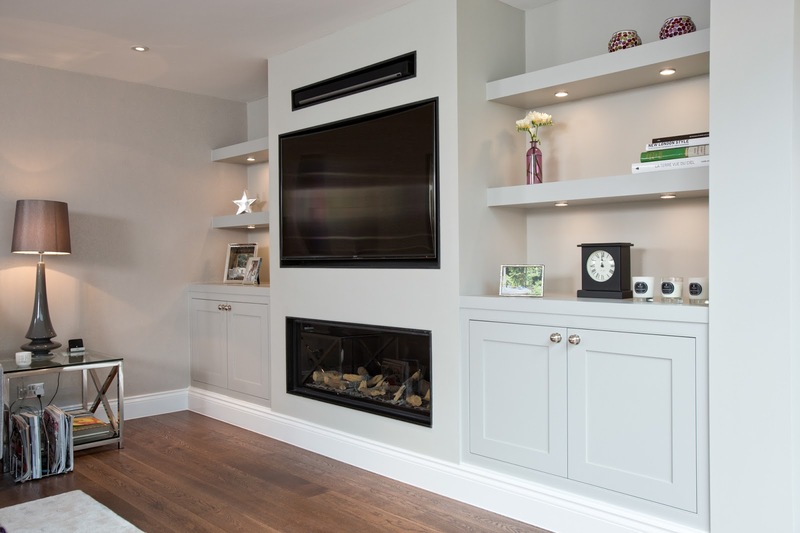 We always love seeing the photos from our completed projects! 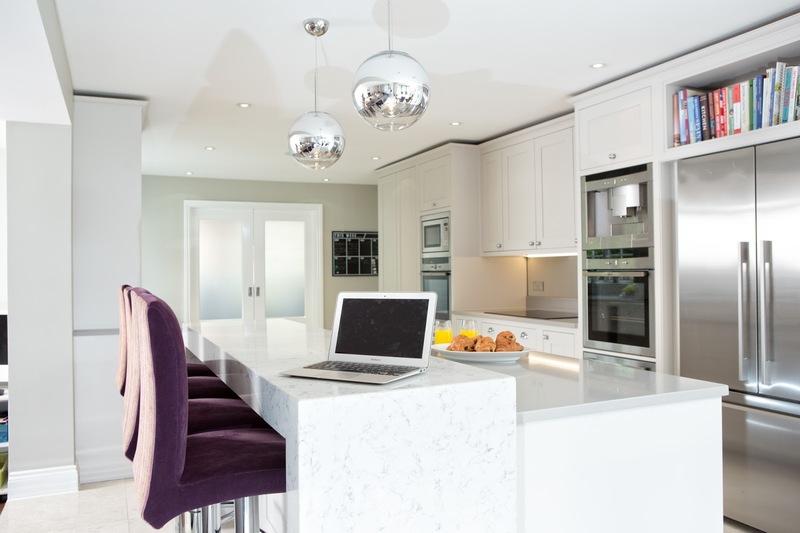 Earlier in the year we worked on a great project in Sunningdale where the whole house was extended and refurbished. 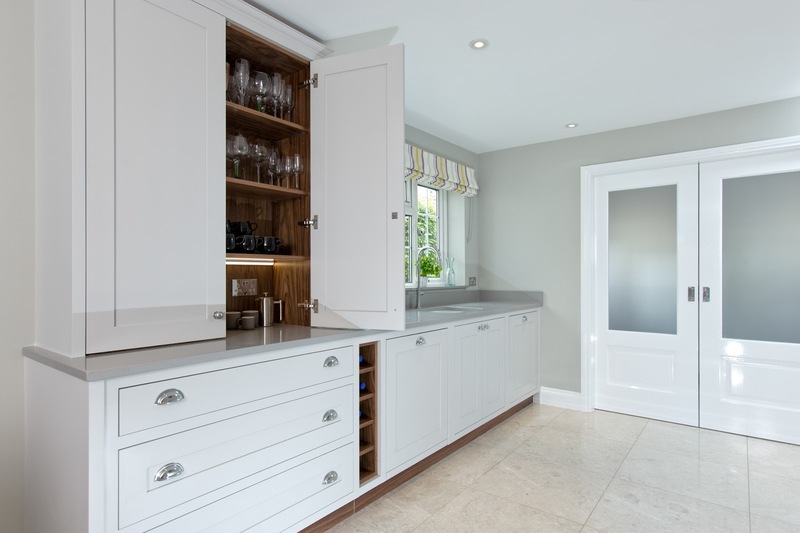 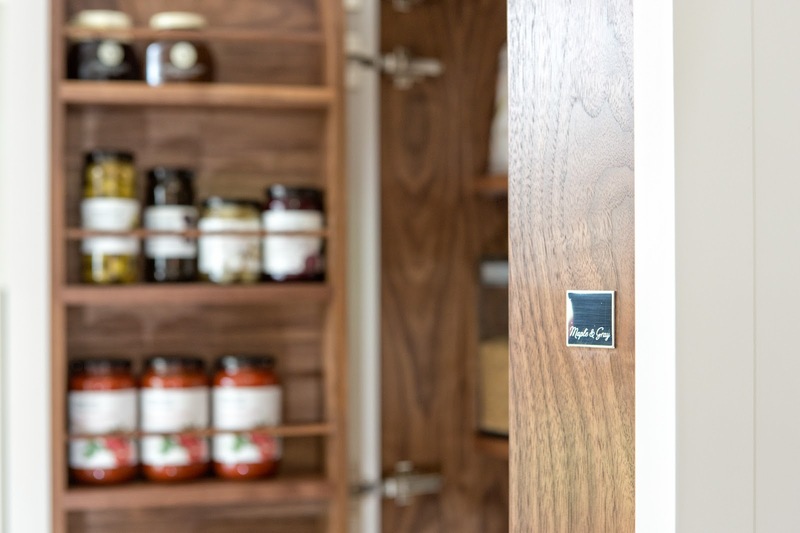 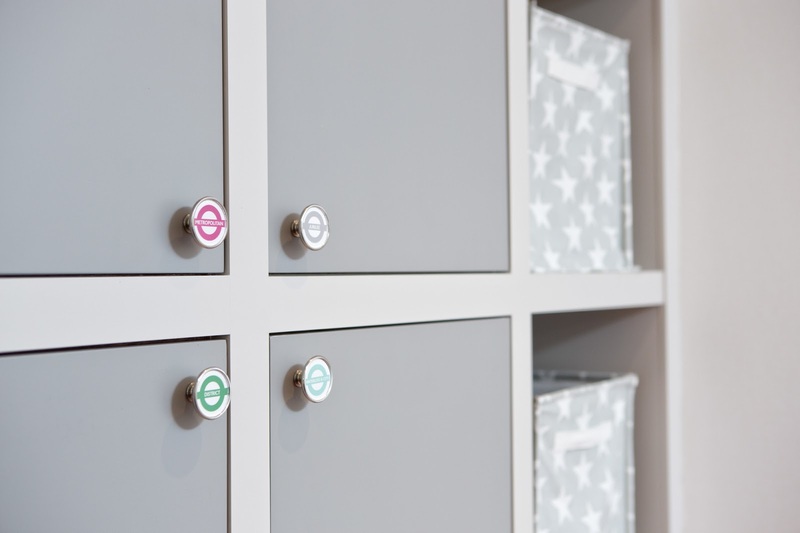 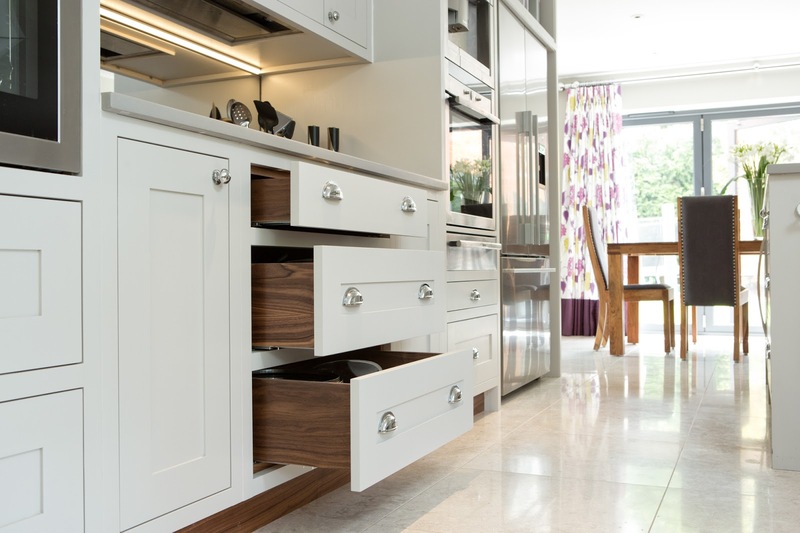 We designed and fitted the new kitchen as well as various other projects within the house including the utility/boot room, living room cabinetry, family room storage unit, downstairs cloakroom, understair storage and childs' bedroom wardrobes.